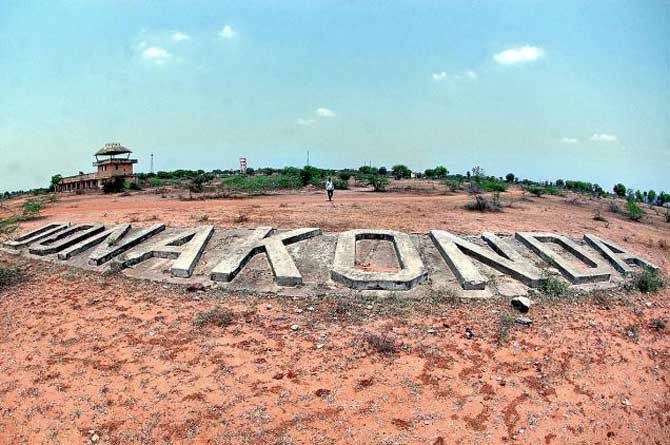 Ongole, December 19: A four member technical team from Airports Authority of India(AAI), Delhi, inspected the airport which was built during the World War II at Donakonda in Prakasam District. The officials examine the feasibility of setting up a full fledged airport and they collected soil samples. The team led by Mr. Makhija elicited information from the district officials on the extent of government and private land available at Donakonda. Meanwhile, Mr. Makhija said that Donakonda is convenient place to set up airport. They inspected 136 acre land in survey number 14 and conducted a feasibility test. They inspected 18 rooms in the old airport and signalling system.